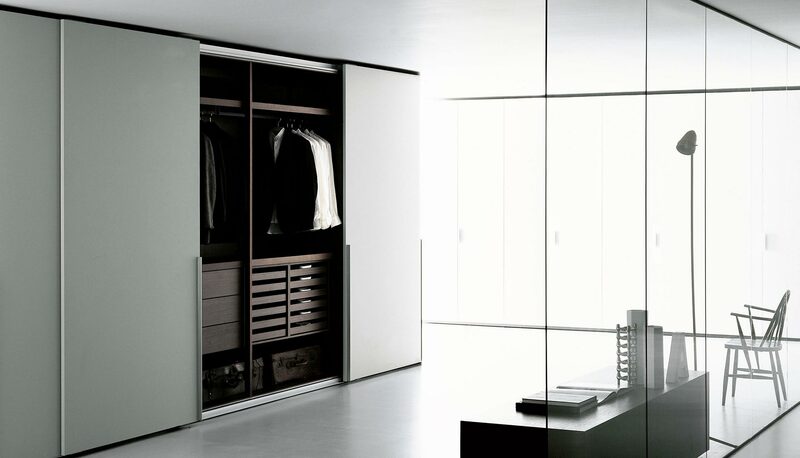 When selecting a wardrobe closed with sliding doors, it is possible to better profit from the available space, with a practical and easy opening, in small spaces as well. Sliding units are available 1953/2273/2433/2593 mm high and 750/1000/1200/1500 mm wide. 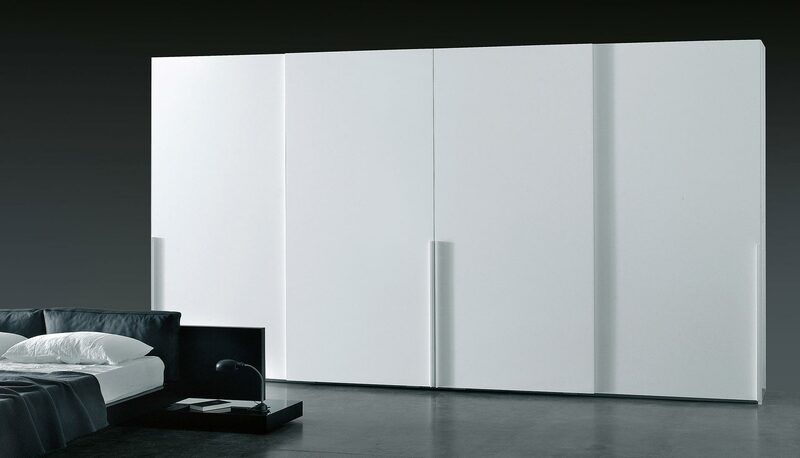 The Plain, Tecno, Profile and Scoop doors are available 750/1000/1200 mm wide. 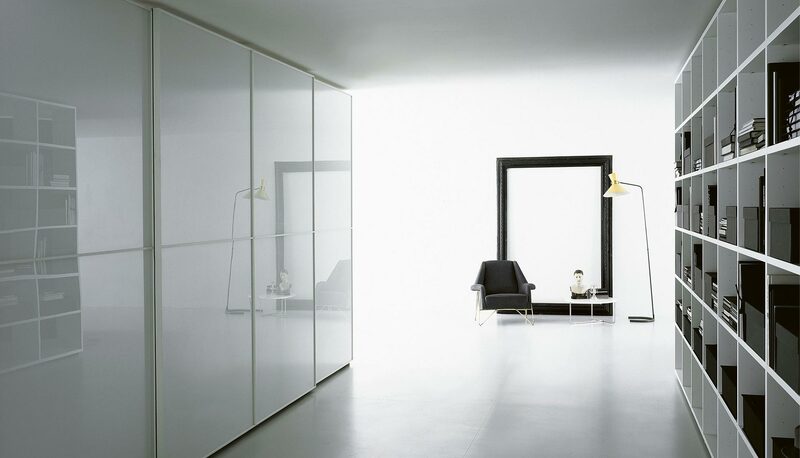 The Matt and Light doors are available 750/1000/1200/1500 mm wide. 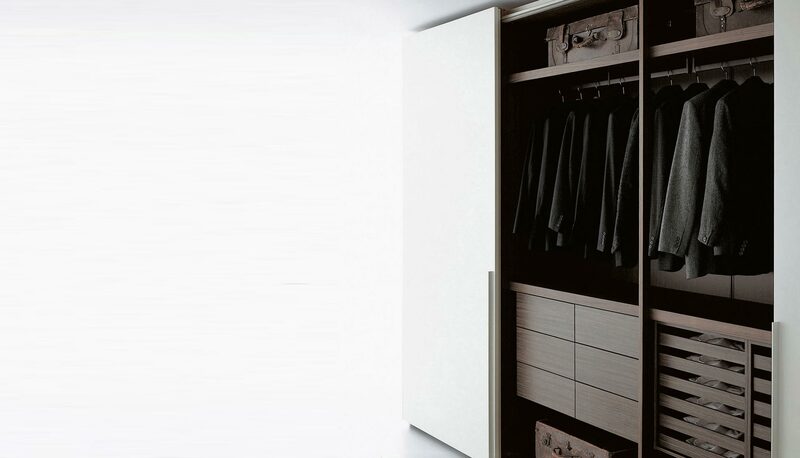 Line doors are available 1000/1200/1500 mm wide.